Joyce Dillon, RN, MN, BCC, is an experienced life, and wellness coach, holistic nurse, author, retreat leader, and eco-wellness travel leader. Her mission is to teach people how to become their authentic, whole selves by releasing their limiting beliefs, dreaming bigger possibilities, clarifying their life vision, and making life-sustaining, healthy changes that will impact their lives, and ultimately the world. In a nutshell, Joyce is your guide for making breakthroughs in life transition. Joyce Dillon, RN, MN, is the founder of a coaching, training, and travel/retreat company in Atlanta Georgia that weaves the teaching of ancient wisdom with the contemporary path of self-empowerment, and life purpose. She is uniquely qualified to help both women and men to transform their paths in live, because she has successfully transformed her own life not just once, but several times. Joyce Dillon’s coaching and personal development company was founded in 1996 as a outgrowth of her own life experiences as a youth. As a youngest of two children growing up in Kentucky, she enjoyed many hours under her favorite magnolia tree in her backyard, journaling and daydreaming of her future and the world to come. As a 12-year-old visionary, Joyce was already laying out the plans for her dream of moving to New York City and running her own company. An integral part of her dream was to help people transform their own dreams into reality. Today, Joyce is a life, and wellness coach, holistic nurse, author, retreat leader, and eco-wellness travel leader. Her mission is to teach people how to become their authentic, whole selves by releasing their limiting beliefs, dreaming bigger possibilities, clarifying their life vision, and making life-sustaining, healthy changes that will impact their lives, and ultimately the world. In a nutshell, Joyce is your guide for making breakthroughs in life transition. Joyce Dillon’s coaching and personal development company was founded in 1996 as an outgrowth of her own life experiences as a youth. Joyce’s passion and aptitude for psychology and wellness led her to a nursing career in adult psychiatric- mental health. She earned her RN degree from the University of Kentucky and her Masters degree in adult mental health from Emory University in 1980. Her goal was to work in prevention or women’s health promotion, but few innovative opportunities were available at that time. So she went on to earn a position as clinical director of two large psychiatric hospitals in Manhattan. Joyce was ahead of her time, yearning to work with the whole person – mind, body and spirit. So she forged her own future by transforming herself into an entrepreneur specializing in transforming others’ outward presentation. 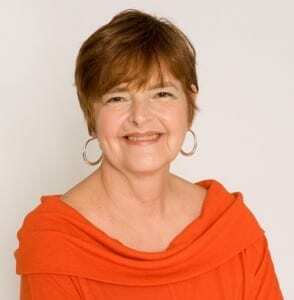 During the 1980s, Joyce parlayed her interest in psychology and self-empowerment into a highly successful New York City image consulting business. This earned her a top slot in her field for years, plus a mention in an article in the coveted Vogue magazine. Her private consulting and image/self empowerment programs became part of several larger New York travel and tour programs, and her second transformation into a New York destination management company was launched. During the 1990s, meeting and event planning became another of her company’s offerings, and her corporate client list blossomed. Her success earned her the opportunity to work with the 1996 Summer Olympics in Atlanta, and for the third time, Joyce transformed herself from a New York businesswoman into an Atlanta entrepreneur enjoying the height of her career in the events/travel industry. In the days after that summer of 1996, Joyce began to feel the stirrings of a deeper need: a new spiritual calling to return to her earlier vision of empowering women to make change in their mind, body and spirit health and well-being. So in 1996, she launched one of Atlanta’s first holistic wellness centers. During the past 13 years, Joyce’s Masters in Mental Health Nursing degree, her experience in psychology, energy medicine, and women empowerment studies, plus her clinical experience in mental health issues, all evolved into her current Health and Wellness business. Joyce’s coaching, personal development company, based in Atlanta, weaves the teaching of ancient wisdom into the contemporary understanding of empowerment, purpose and destiny. She helps women and men identify the core beliefs and thought patterns that block them from fully living and enjoying the life they deeply desire. Today, Joyce’s mission is to teach people how to become their authentic, whole selves by releasing their limiting beliefs, dreaming bigger possibilities, clarifying their life-vision, and making life-sustaining change that will impact their own lives, and ultimately the world. Joyce was featured in Vogue Magazine as one of the top image consultant in the US. Joyce ran a non-profit jazz organization that promoted young artists in addition to major jazz performers. Joyce went to Cuba on a weeklong cultural immersion with a group interested in food, art, music and culture. Joyce opened one the first holistic wellness centers in Atlanta.